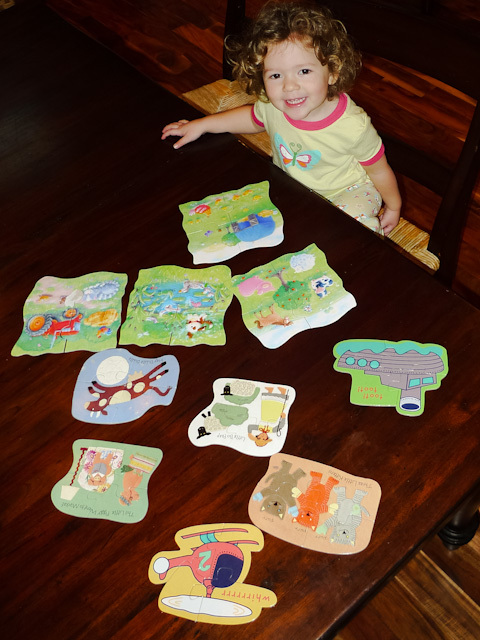 Lucy has recently entered a puzzle phase and at least once a day puts together all of these little puzzles. I was sorting out the individual puzzles when she first started, but this morning I just set the stack of pieces on the table and she did all the sorting and then completed all the puzzles! Puzzling is an excellent pre-literacy skill. Good job, Lucy.